Road racing in the USA was not originated by the SCCA, but we can take credit for its rebirth in the early post WW II days. Prior to that time, there was road racing in this country but it was usually illegal and certainly frowned upon by responsible citizens. Many of our older SCCA members grew up in that era and were overjoyed when they found an organization which welcomed and sanctioned automotive competition as a sport and hobby. I am one of those survivors of those nostalgic days of unsanctioned racing; let me share a few of the memories with you. 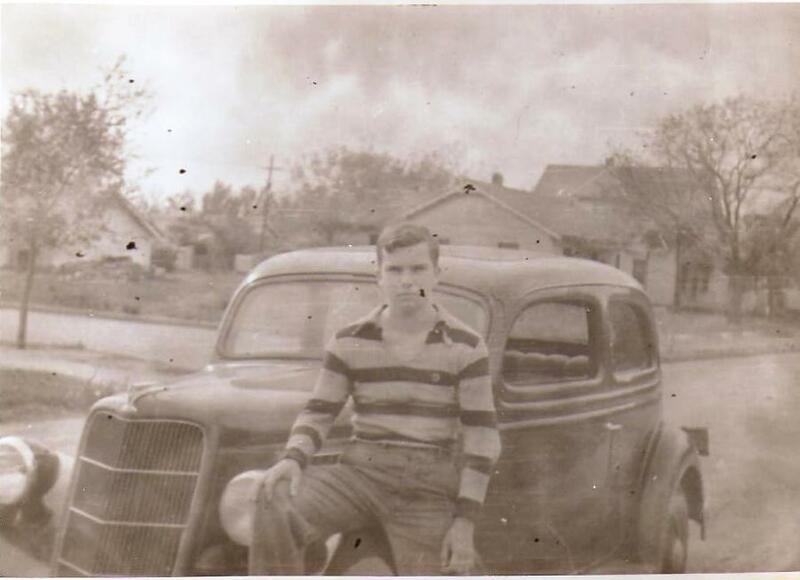 I was a teenager in Enid, Oklahoma in the depression days of the 1930’s. Then it was only the kids of the wealthier people who had their own car. As I remember, there were less than a dozen kids in Enid High School who were so fortunate. I was not one of that group, but like most of my associates, had the privilege of sharing the family automobile for approved recreational purposes such as dating, cruising, etc. Road/street racing was one of our major uses for the family autos, albeit, without approval or even parental knowledge. My buddies and I were more active in racing than many kids, probably because our parents had cart with high performance potential. Remember, this was in the early ‘30’s and Henry Ford’s V8 engine had given the public a high performance car affordable to the masses. Two of my buddies’ parents had ‘34 Fords, and I was overjoyed when my Dad bought a ‘35 Ford; I became a competitive driver as did two others of my group whose parents bought Fords. We terrorized the poor kids who had only Chevys or Plymouths to play with. The Chevs were ill handling “stones”, the Plymouths had great brakes but lacked power to keep up with the Fords. The only machines around Enid that could keep up with us in top speed were higher priced Buicks and Chryslers. Our racing then was nearly always one on one, usually playing “ditch em” on the city streets. Of course it was highly illegal and part of the excitement was avoiding the police. Arrest was not nearly as likely then as there were only limited police patrol vehicles in use; as I remember there were never more than two police patrol cruisers on duty at one time plus one motorcycle cop who worked traffic at night. The police cars were Fords like ours with no special equipment and their drivers were no better, if as good, as we were. The cycle cop, a veteran Harley driver, was a formidable adversary but was at a disadvantage because so many of the side streets in Enid were unpaved and not well maintained. A quick turn onto one of those deep - rutted and rough streets and the motorcycle cop would be eating clouds of dust and bouncing like crazy from pot hole to pot hole. The other phase of our racing, the high speed contests, were held on the highways, driving a specified route with the first car to the finish winning. The perils of normal traffic were expected and part of the challenge. The principal “speed course” in Enid then was from the city limits to the town of Waukomis, seven straight miles south on Highway 81. Again it was usually racing one on one late at night when traffic was light. Sometimes the race was a fourteen mile round trip, but always with the traffic hazard present. Fortunately traffic was much lighter in those days and the Highway Patrol was not in existence until 1937. My 1935 Ford was an excellent racing machine and a champion at high speed racing. Dad had ordered it with an “economy” 3.54 to 1 rear axle. It gave away some acceleration to the Fords with the standard 4.36 ratio, but was almost unbeatable at top end. The only machines that ever outran me at top speed were a Buick Century and a Chrysler Airflow - I could easily out handle and beat both of those cars in city street racing. The big majority of my road racing experience in those days was in a three year period from 1935 to 1938. My father traded the Ford in on a Pontiac Six, a rugged good handling but slow car - and I entered college where I began to find more excitement in chasing girls instead of cars. Also, the police had become more proficient in discouraging street racing. It was not until some twenty—five years later that I discovered the SCCA and was able to return to road racing in a much safer and more sophisticated climate.